Butterfly valves used for isolating or regulating the flow in liquid handling systems. Liquid is able to flow in both directions. The design based on the EN ISO 16136 Standard in accordance with the 97/23/EC Directive. 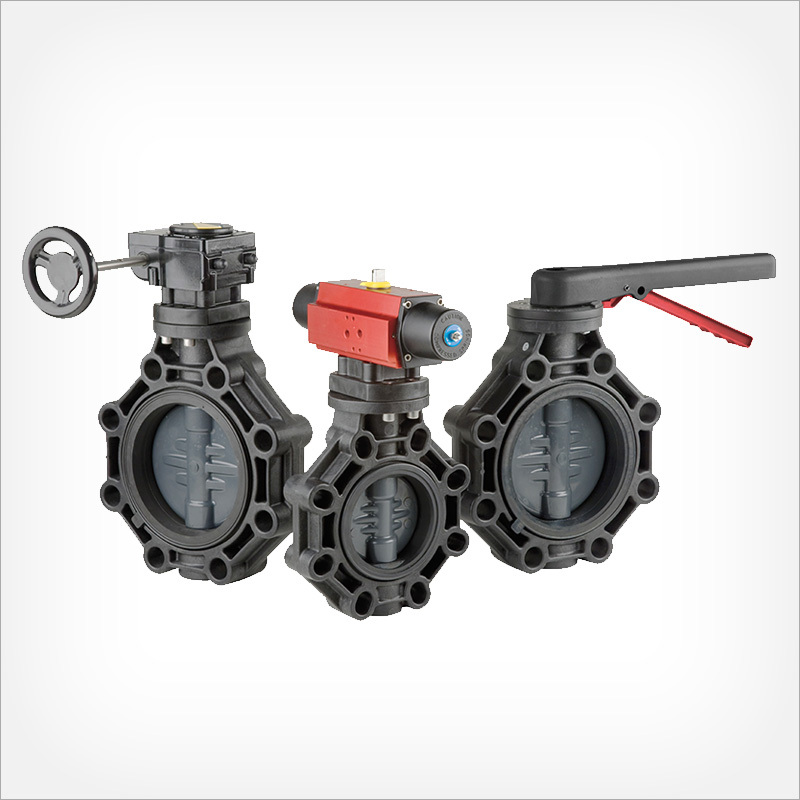 The valve is available with PVC-U, CPVC and PPH discs and EPDM and FPM sealing gaskets. The choice of material for the disc and gasket depends on the type of liquid to be carried and on the working temperature of the liquid. For more information please contact us.